Welcome to the TTMEM.com Shop! Jump into a world of new job opportunities. With TTMEM.com translator-friendly solutions, you can always go one step further! Welcome to the TTMEM.com Shop! TTMEM.com's staff do their best every day to provide tools and opportunities that freelance translators, translation teams, translation agencies, translation companies and other language professionals use to expand their businesses and improve their work. In the TTMEM.com Shop, you can find offers and products you may consider useful for expanding your translation activity. Find new job opportunities and improve your work by purchasing new innovative products through the TTMEM.com Shop. Check out the TTMEM.com Shop for new products before you buy anywhere else! 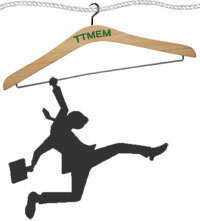 The TTMEM.com Shop gives you a perfect opportunity to list your products and offers. Our Shop is the right place for your products as it will ensure that your items are seen. A single advertising space in our Shop costs 100 euro per month. The price of your items depends on you. You can establish any price you consider suitable for your products, but you must take into account one thing: even if your product is unique, it's better not to charge very high prices. After your offer is listed, the TTMEM.com Shop redirects all interested clients to your website or contact details. Don't hesitate! Contact our team and promote your products in the TTMEM.com Shop! The list of Translation Agencies/Companies at your fingertips! If you are looking to be hired by translation agencies and/or companies, then this database is for you! We believe that one of the best ways to find work as a freelance translator is through direct contact with potential customers. Just think: how much time do you spend every day looking for translation jobs and sending your CV to potential clients? Do you know that most (if not all) of your emails/applications sent to clients that way are marked as SPAM, ignored and deleted by them? For this reason, TTMEM.com found a 100% effective working solution: a manually made and updated database of translation agencies and companies. Invest in your language business and try it now! Translation agencies and companies around the world are waiting to hear from you! These agencies might become your lifetime customers! Why our database is so ESP (Efficient, Special and Precious)? Translation agencies/companies listed in our database are active agencies that enjoy a good reputation (we did not take into account a non-payers and blacklisted outsourcers), interested in hiring collaborators. Every application form URL will bring you directly to an online application, and if for some reason linking to the application form is not possible, (eg: flash-based websites) we include stickly notes that will guide you through the whole process so you can reach the page you need in a few steps. In this way, you don't have to waste your time searching for the right section to offer your services! Stop being sent to SPAM! Be welcomed! The agencies listed in our database are looking for new collaborators and you offer what they need. So instead of waiting, start building new & strong relationships with customers! If you think you have enough work at the moment, remember that there is never too much work! You can work at a higher price and choose the projects you like by expanding your clientele with the help of our database! Our database is available in Excel format (with filters), but upon request, for your convenience we can generate different file formats. The biggest is not always the best! Let's state one thing: we are not offering the biggest database of translation agencies, but you should remember that the biggest is not always the best! We prefer to offer less but valid entries instead of filling the database with fake companies. We respect you, your activity and your time! The full version of our database contains contact details of 3707 translation agencies/companies from 97 countries (and will be updated every month!) (Afghanistan, Albania, Algeria, Argentina, Armenia, Australia, Austria, Azerbaijan, Bangladesh, Barbados, Belarus, Belgium, Bolivia, Bosnia and Herzegovina, Brazil, Bulgaria, Cambodia, Cameroon, Canada, Cape Verde, Chile, China, Colombia, Costa Rica, Croatia, Cyprus, Czech Republic, Denmark, Dominican Republic, Ecuador, Egypt, Estonia, Finland, France, Germany, Ghana, Greece, Guatemala, Hungary, Iceland, India, Indonesia, Iran, Ireland, Israel, Italy, Japan, Jordan, Kazakhstan, Kenya, Kuwait, Latvia, Lebanon, Liechtenstein, Lithuania, Luxembourg, Macedonia (FYROM), Malaysia, Malta, Mexico, Moldova, Monaco, Morocco, Netherlands, New Zealand, Norway, Pakistan, Panama, Philippines, Poland, Portugal, Puerto Rico, Qatar, Romania, Russia, Saudi Arabia, Serbia, Singapore, Slovakia, Slovenia, South Africa, South Korea, Spain, Sweden, Switzerland, Taiwan, Thailand, Trinidad and Tobago, Tunisia, Turkey, Ukraine, United Arab Emirates, United Kingdom, United States, Uruguay, Venezuela, Vietnam) and you can download it ONLY after becoming a full member of TTMEM.com (at a costs of 80 euro/year). Buy our database NOW and start applying immediately! I appreciate the quality of products offered by this website. Purchasing database of translation agencies opened up new horizons for me and my translation activity. Very helpful resource! I have increased my clients number and created my full time job. All of this couldn't have happened without TTMEM.com database of translation agencies. My life has changed since I purchased full TTMEM.com membership and downloaded the database. I sent my application to many agencies and received many interesting jobs. Thanks for this opportunity! After you complete the payment process, please back to this page to download full database of translation agencies/companies. Just think: if you get just one small translation project as a result of buying our database, it will pay for itself immediately as you can earn money back within a couple of hours of translation work! We regularly update our database to offer the best quality. Our updates consist of replacing old links with valid ones as well as adding new agencies/companies contact details. With TTMEM.com you can be sure that you're not paying for broken or invalid links (latest update April 2019). As a full member you will be informed each time our database is updated and you can always download the newest version of database until your TTMEM.com full membership expires. How can you be sure about its quality? For your convenience, we have prepared a Free Sample to give you a general idea of how it is made. The free sample contains 5 random examples from our database with real working links, so you can start applying for translation jobs immediately!